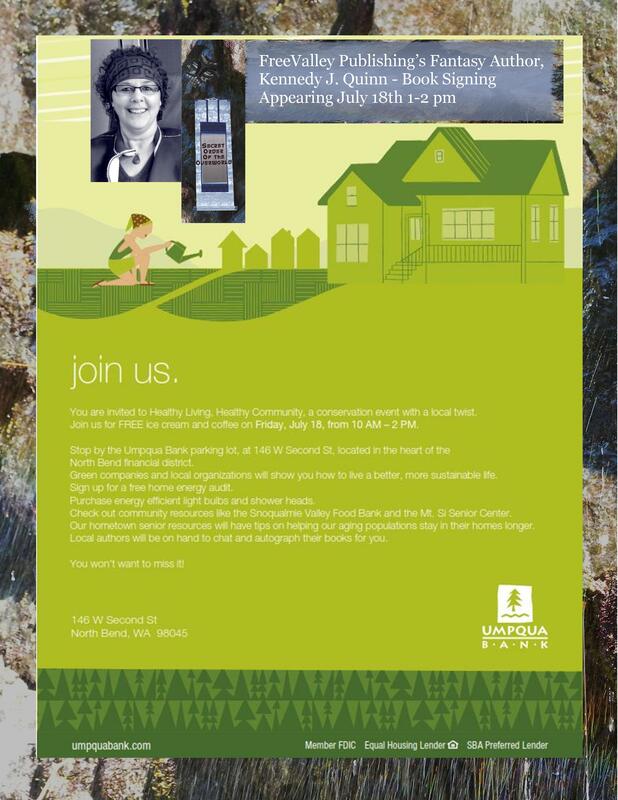 Kennedy J. Quinn will be signing books at Umpqua Bank in North Bend, WA July 18th 1-2 pm. Come and meet the Author! This entry was posted in Community, Events, Uncategorized and tagged Book Signings, fantasy authors, Kennedy J. Quinn, meet the author, Secret Order of the Overworld by freevalleypublishing. Bookmark the permalink. This sounds like it will be a fun time for you! I’m looking forward to it. Thanks, Steve! I worked until 5pm so missed the whole thing. Darn.